Our first appointment went very smoothly. Although the doctor seemed brushed and had many patients, he had spent quite abit of time describing the treatment plans and the next steps. Very friendly and ? good sense of humor. I really like the front desk personnel. When I asked for a piece of paper to take notes on, the front desk person even offered me a board. it got a bit crowded in the wait room, and I did feel a bit rushed which is a gift expected in traditional medicine nowadays oh, there isn't a luxury of talking to the doctor and getting into in-depth conversation about health. Our first appointment went very smoothly. Although the doctor seemed brushed and had many patients, he had spent quite a bit of time describing the treatment plans and the next steps.Very friendly and ? good sense of humor. I really like the front desk personnel. When I asked for a piece of paper to take notes on, the front desk person even offered me a board. it got a bit crowded in the wait room, and I did feel a bit rushed which is a gift expected in traditional medicine nowadays oh, there isn't a luxury of talking to the doctor and getting into in-depth conversation about health. Dr. Jose Villagra completed his Fellowship in Pediatric Hematology and Oncology at The Johns Hopkins Hospital, and completed his Residency in Pediatrics at University of Miami Jackson Memorial Hospital. Dr. Villagra is a kind, caring, and competent pediatrician who specializes in pediatric hematology and oncology. With his office based in Wheaton, MD, Dr. Villagra is proud to see patients within the greater Washington D.C. and Rockville, MD communities. 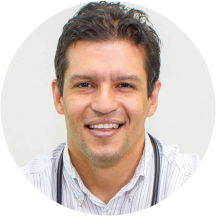 Dr. Villagra is an excellent professional, very polite, he takes his time to treat the kids and their parents with patience and kindness. Dr. Villagra is amazing with both of my children who are 14.5 years apart. He listens well and gives great advice. Very happy with my son's visit and knowing he enjoyed his time there. Highly recommended! If you don't hear anything from them call to confirm you appointment I the system. I booked through zoc doc and they said that sometimes it allows you to book but the appointment isn't really available. I don't know how true that is. This gentleman is great! Excellent connection immediately. Reassuring if there are concerns and if the new was negative I feel as though he would know how to present it so that you could accept it. Excellent doctor, not so pleasant front desk. Attitude is so important if you are the front office that represents the doctor. Bad customer service should not get in the way of such superior physician care, but today it did, I wasunable to make my appointment. The front desk was supposed to send me an email link to book appointments, never did. Disappointing. Amazing, couldn't ask for a better doctor. He took his time to really explain what was going on and made me feel secure when it came to all the work being done. I will very much recommend him! I absolutely love Dr. Villagra for my children. He is by far the BEST PEDIATRICIAN I've ever had. I love the way he interacts with the kids, and takes the time to explain everything to my husband and I no matterhow many questions we have. He handles the children with care. I will never forget my first visit, he came out to greet us and was so down to earth and friendly, my girls took to him immediately. He is not just a Dr in a white lab coat, but a professional who makes everything better in the eyes of my little ones. Thank you so much for all you do Dr. Villagra!!! Muy buena la atencion , el trato del doctor con mis niños fue genial ? ?